The day after tomorrow, our new adventure begins as we both jet off to Miami before we board the biggest ship in the world to start our 7+ months of work, whilst sailing around the Caribbean……not a bad life I guess. If you don’t know us, this is how we met… working on a cruise ship, how else does a Romanian man and English woman meet? Now 8 months on from when we first met and after having a relaxing vacation, we are back joining a new ship together. For the majority of 2017 we have previously been working and living on a different ship together. Being with someone 24/7…you get to know them pretty quickly but we soon found out we share the same passion of travelling and have decided to document our life together as we keep moving forward into the future. I (Hayley) created the “Live Free, Live a Journey” quote and started blogging independently (not as often as I would have liked) about things I am passionate about e.g. travel, positivity, my personal life. 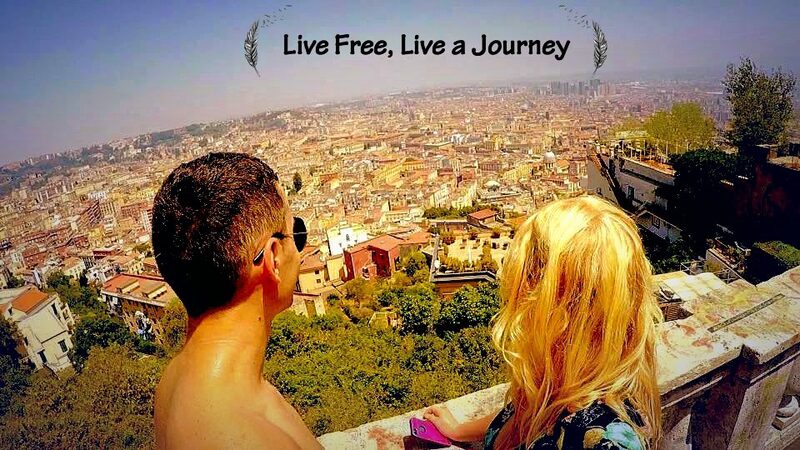 Things have took a whirlwind turn in the past few months and I have found someone who shares the same positive energy and drive to reinvent “Live Free and Live a Journey”. So for the next few months we will be together 24/7 again and going through the ups and downs of ship life whilst visiting some amazing places, but this time we will be documenting our adventures TOGETHER. However, the problems of keeping you up-to-date with our life through blogging, youtube videos and other forms of social media, is the requirement of reliable internet………we will be in the middle of the ocean!!! Plus the majority of time spent each day is spent working or sleeping!! SOOOOO I guess we are going to face this constant battle to find decent wifi BUT we are going to try our best to post as regular as we can and we hope you stick around!!! Get to know us more and more as you follow us on our life journey! Let the next adventure begin! 1 day countdown as we are reunited again in Miami!